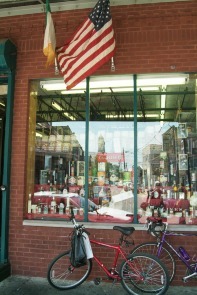 Window display of imported foods at Claudio Specialty Foods. Bicycles parked in front. Italian and American flags flying above window.